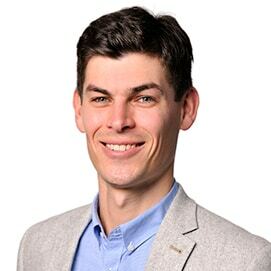 Matt is a consultant in the Canberra office who has experience working with government; specialising in public policy and government funded infrastructure. He has also had experience in stakeholder facilitation, having recently completed his PhD involving multiple qualitative interviews with key international government officials. Matt has strong communication skills as well as the ability to synthesise complex insights and present these concisely and logically. Matt harnesses his experience working with government for most of his professional career to enact a creative and disciplined approach to structured thinking in the public sector. Served as assistant project manager for the Northern Sydney Freight Corridor upgrade works, liaising with sub-consultants. Before joining Nous, Matthew was an assistant project manager at Parsons Brinckerhoff, specialising in rail infrastructure. He has also been employed by Baulderstone in Construction Management, as well as the Roads and Maritime Services NSW. Matthew holds qualifications and expertise in natural disaster management research from University of NSW and civil engineering from The University of Sydney. He has also volunteered on over 20 school holiday camps as a director and leader of school children. Matthew enjoys sitting with a coffee and trying his hand at a cryptic crossword, as well as cooking for his friends.